Three 17th-century Swedish royal treasures — the crowns of Karl IX and Kristina (upper left and right) and an orb (center) — were stolen on Tuesday in the daring daytime heist. Swedish police cordoned off at area on Tuesday as they investigate the theft of royal jewels from the Strängnäs Cathedral. The golden, jewel-encrusted crowns and orb were on display at the Strängnäs Cathedral, west of Stockholm, near the banks of Lake Malar. The larger crown and the orb were made for King Karl IX's funeral at Strängnäs Cathedral in 1611, while the smaller crown was made for the funeral of his wife Kristina in 1625, also at the cathedral. 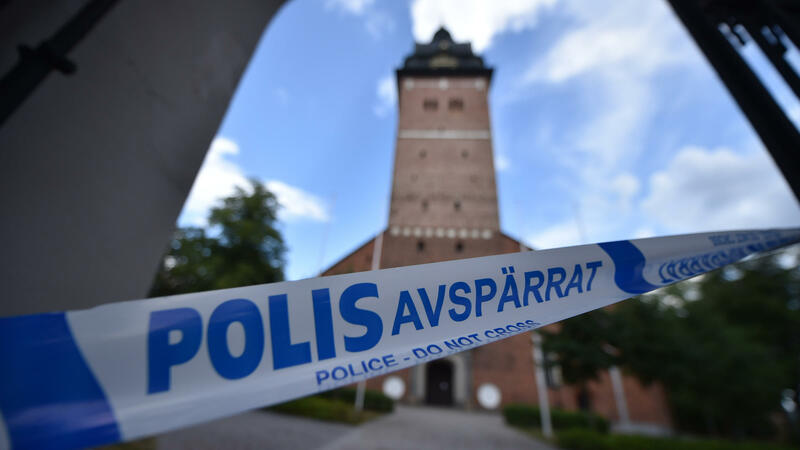 "The objects, which are of high historical and economic value, were stored according to prevailing safety regulations in locked and armed displays which at the time of the theft were open to visitors," the Church of Sweden said in a statement. But in the middle of the day on Tuesday, burglars smashed the glass, setting off alarms, and stole the two crowns and the orb, a cathedral spokeswoman told The Associated Press. 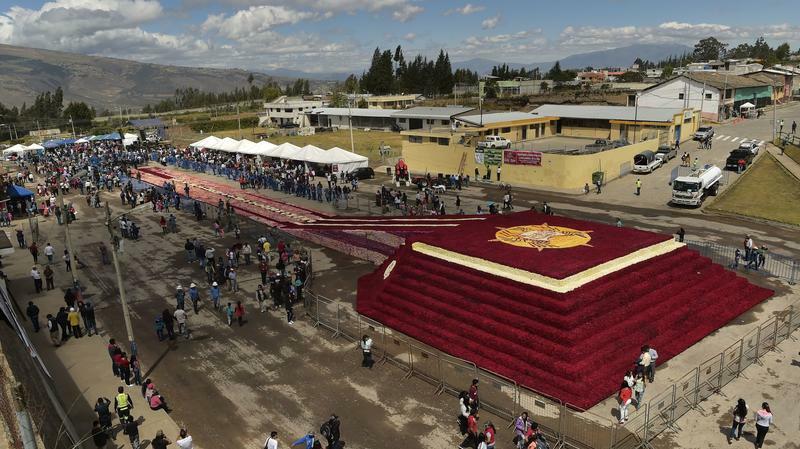 There was no violence or threat of violence involved, the church said in its statement. "Several people then left ... in a boat just below the church," Swedish police said in a statement. Police say the thieves "are suspected of leaving the church on bicycles" — and two black bicycles, possibly stolen, were found near the shores of the lake near where the boat disappeared. Police tried to locate the culprits, including with a search by helicopter, to no avail. The search is complicated — Lake Malar is crowded with islands and ringed by towns and cities. By boat, thieves could have reached anywhere from Stockholm in the east to Arboga in the west, some 80 miles apart, a police spokesman told local media. 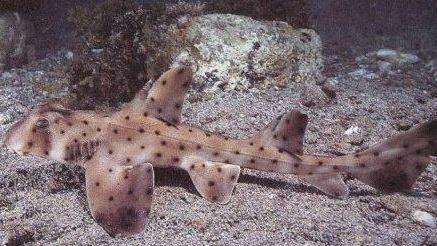 "Police said the thieves could have fled further on jet skis, adding it was only a theory," the AP reports.
" 'Images are being shown in the media. It's simply not possible to sell these kind of items. So you can only wonder what their intentions are, and how much they know about these crowns,' Maria Ellior from the Swedish Police National Operations Department (Noa) told news agency TT. "Registering the theft with Interpol means 'even international police will be on their toes,' she added, noting that the theft was likely well planned." 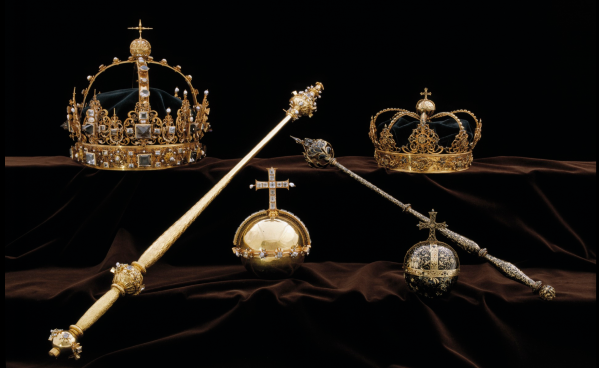 In 2013, a 16th-century Swedish royal scepter and crown were stolen from the Västerås Cathedral; they were recovered in a pair of trash bags on the side of a highway, the Local notes.